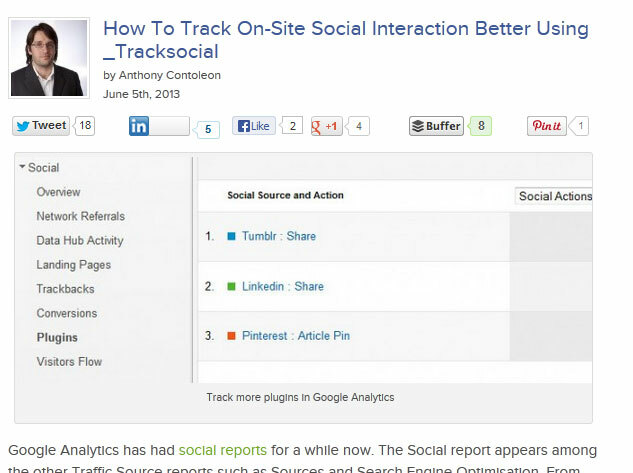 My latest guest post, How To Track On-Site Social Interaction Better Using _trackSocial is now live on Search Engine People. 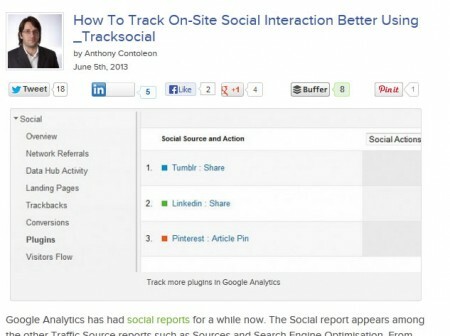 It outlines how you can add more than just Google+, Facebook and Twitter to Google Analytic’s Social Plugin reports. It requires a little bit of work, but no more than you would need to do to implement events. There is another, very useful report that takes a little more to get started with: the Plugin report. This report tracks how and where users interact with social media plugins on the site. Without any further work, this report will only track any Google+ buttons active on the site. To get more from this report, you will need to do a little more work.